Titijaya Land Bhd has partnered up with China Railway Engineering Ltd (CREC) to jointly develop a mixed-use project in the Sabah capital of Kota Kinabalu. The project, earmarked to take shape on 1.82 acres within the KK city centre, has an estimated gross development value (GDV) of RM575 million. To be dubbed The Shore, Titijaya said the project will be the new premium waterfront hub of the city, offering luxury mixed-use units that will be docked within the prime waterfront enclave. It will comprise 561 units housed in a 25-storey tower and offer compact units ranging between 409sq ft to 541sq ft. These will be priced from RM453,000. The developer expects the project to be completed within 48 months from the start of construction. Titijaya formalised the deal via a framework agreement (FA) with CREC Development (M) Sdn Bhd today. It also inked a serviced residence management agreement with The Ascott Ltd for The Shore. Under the agreement, Ascott will manage the serviced residence component of the project for 15 years. Laksana Wawasan Sdn Bhd is the beneficial owner of the proposed Ascott Hotel. Titijaya said the deal between Titijaya and CREC was signed after it inked a share sale agreement for the proposed acquisition of the entire issued share capital of Sri Komakmur Development Sdn Bhd for RM70.9 million. Sri Komakmur owns three prime parcels in Sabah, measuring a total of 75.44 acres, which has a cumulative market value of RM172.64 million. The Shore will take shape on one of the parcels. 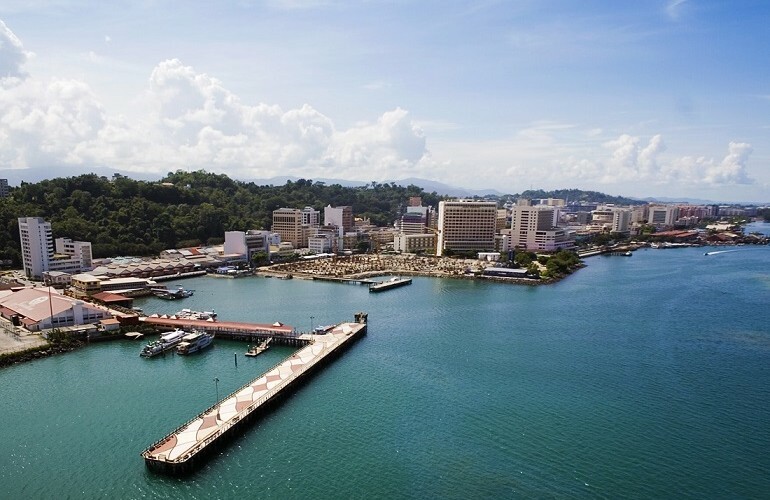 Titijaya group managing director Tan Sri Lim Soon Peng said the proposed acquisition will enable the company to immediately gain access to 75.44 acres of prime land within the high-growth and fast maturing central development spine of Sabah. The site, he said, is located close to local landmarks such as the Bank Negara building, Royal Malaysia Customs, Bukit Padang Hospital, and Sabah Golf & Country Club.